The top ten tuesday topic for this week is anticipated reads for the second half of 2017. The first half isn’t technically over yet, but there are so many good books I aim to get to in the rest of this year. I am going to split this list between books being released this year, and books I am just really excited to read. This list should give you a good overview of which books I aim to read before the year is over. There are so many books, it has been difficult to narrow it down to the ones I am most excited for, so there are probably a lot more books that deserve to be on this list. I have been following this series for four years now, and I am incredibly excited to read the next installment in the series. These characters are so important to me and I love how the story has been developing. There was also a massive cliff hanger at the end of the last book so I need to know what happens next. Plus there is meant to be more books in the series meaning I don’t need to feel guilty about looking forward to this book because the series won’t be over yet. Plus that cover is amazing! And I really want to see what happens to the characters I love so much. This series started off as middle grade but it has developed into something so much deeper. I honestly can’t wait for this book. This is my most anticipated release. This retelling of the evil queen legend is one I am really looking forward to. I love the idea of a villainous retelling and I look forwards to the process of reading this. I really enjoyed the experience of reading Heartless by Marissa Meyer because you knew that the character would end up spiraling into madness. I have high hopes for this series that the experience will be the same. Additionally, this is an east asian retelling which I haven’t read many of, and I really want to. I just feel like this book could be amazing. 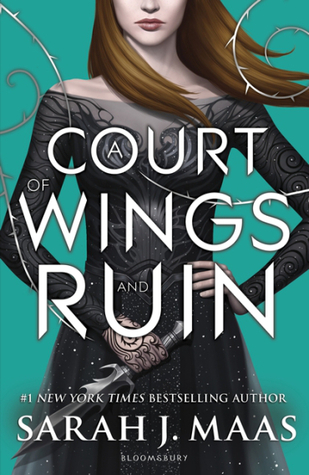 I love fantasy novels, and anti-heros, and I am so excited to see other people’s reviews of this book once we get closer to it’s release date. I have loved every single one of Marie Lu’s books that I have read. I really liked her take on dystopian society in the Legend series. And I LOVED her fantasy world in The Young Elites, although I still haven’t quite read the last book in the series yet but I have seen it in my library and aim to get to it very soon. So now sci fi?? Sign me up! I love books about hackers, and I am really interested in reading books that are positive about the future compared to the numerous dystopian novels out there. Plus it centers around an online video game? I am looking forward to reading about that so much. I didn’t like this cover when I first saw it but the more I look at it the more I love it. How can I not be excited for Marissa Meyer’s new book? I tore through the Lunar Chronicles earlier this year and the character development and world building was amazing. I want another team of awesome characters from her that I can get behind. I really enjoy reading books about super heroes, especially hearing about their interesting powers and the team dynamics. Additionally I am really interested to read Marissa Meyer’s first non retelling novel. I don’t doubt it will be amazing though, because the plots and worlds of all her other books are developed far beyond the story of their respective inspirations. This is a debut novel that is coming out later this year. It sounds really interesting, with the plot focusing around a competition to win the chance to go to space. I love space, and I want to read more sci-fi. Plus the competition aspect definitely has my attention, it creates interesting dynamics between the characters because none of them know whether they can trust one another. Additionally this book sounds like it’s about clever people, and I love clever people. 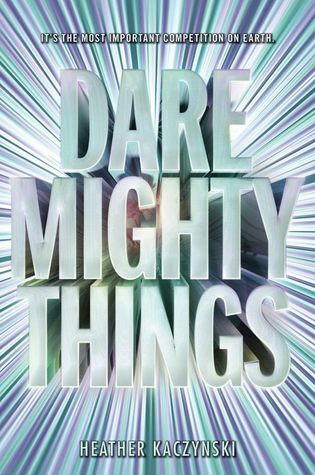 I enjoy reading about characters who are intelligent and know things, so I am hoping that the characters in this book know all about physics and space travel and machinery. I want to read about that. All The Crooked Saints by Maggie Stiefvater – definitely excited for more of Maggie Stiefvater’s writing, but from what I’ve heard about this book I’m not sure it’s completely up my alley. I will totally read it, and almost definitely enjoy it, but I am not as excited as I could be yet. The Gentleman’s Guide to Vice and Virtue by Mackenzi Lee – this book is going to be released super soon. It isn’t technically in the second part of the year though. 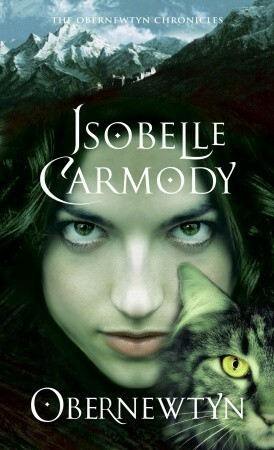 Plus it is a historical novel from a genre I am not as interested in as some others, that’s why it’s not in my top five. Obsidio by Jay Kristoff and Amie Kaufman – I actually forgot about this one until the last moment. I am VERY excited about this one though, I am so ready to see this sci-fi series end in a blaze of fire. It will be amazing I know. I have been meaning to read this book for a year now. One of my close friends loves it and I know I will to, I mean a heist?? and anti heros?? and a fantasy world?? It sounds amazing. However I am determined to read the Grisha trilogy first so that I understand the world enough to fully enjoy this series. I just need to actually find the Grisha trilogy in a library near me. I physically HAVE this duology books on my shelf. I just need you guys to keep reminding me to read the Grisha trilogy, not that I will forget about it. I am really looking forward to reading this book, and I will definitely get to it soon. I love this series okay, I love it I love it I love it. I just need to find the time to reread it. I know I will, and I am definitely going to read it this year. I still have to find out how this series ends, and I am looking forward to reimmersing myself in this series. 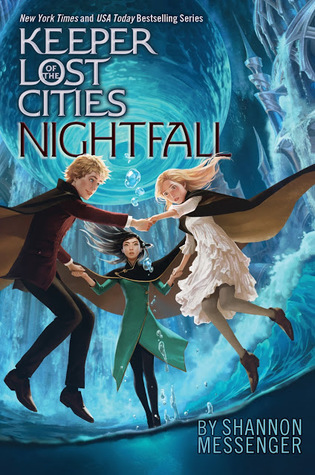 I’m sure most of you have already heard me talk about it, but this series is part dystopian and part fantasy. It’s about characters in a world after an apocalypse that is all to possible with technology these days who have found themselves with odd powers, and those powers help them to fight for their freedom and prevent the apocalypse from ever happening again. I have heard so many good things about this book, and it sounds like an epic fantasy right up my alley. I have been reading a lot of lighter novels recently so it’s about time to dip into something darker. Plus this is an Australian author and I need to support him. I am interested to see what his writing is like considering that I have only read the Illuminae files and that’s in a very different format from a full text novel. I am super interested to see how this book goes, and I feel like the plot will be really clever and weave together into something amazing. Additionally Cait from Paper Fury loves this one and I trust her option. This only came out a little while ago so I haven’t gotten to it yet. I borrowed the first two books in the series from a friend so hopefully I can do the same with this one, after they’re finished reading it of course. Considering that I only read the first two books in this trilogy around six months ago I am excited to get to this book. I am very sure that the series will end amazingly, and I look forward to getting back into that world and hopefully seeing some of the other courts. I am also interested to see how Sarah J Maas finishes her series considering that this is the end of this trilogy. I have heard a lot of good things about this series recently, and considering how much I enjoyed the alternate style of The Illuminae files I am pretty sure I will enjoy this. Plus I really like the idea of a sci-fi conspiracy theory book which is what this is in my mind, I haven’t read it yet so I don’t really know. The set up of this idea reminds me of things kind of like The X Files or Gravity Falls, both tv shows that I have really enjoyed so I am really looking forward to getting into this book. I am the same as you with Six of Crows. I read the first Grisha book when it first came out but I just haven’t got round to the rest. But I think I want to read them and a friend told me there’s a spoiler for them in SoC. Sooo… One day! wait there’s a spoiler in them for Soc? but they were published first?? ahhh that’s confusing. Thanks, I tend to have far too many unread books from past years lying around that I’m still interested in reading. 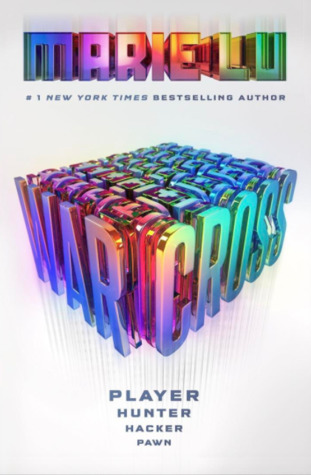 “Warcross” and “Renegades” are absolutely everywhere today, Marie Lu and Marissa Meyer definitely don’t seem to need to worry about not selling enough books :D I’m more curious for “Warcross” because the video games setting sounds interesting but I really like the “Renegades” cover! 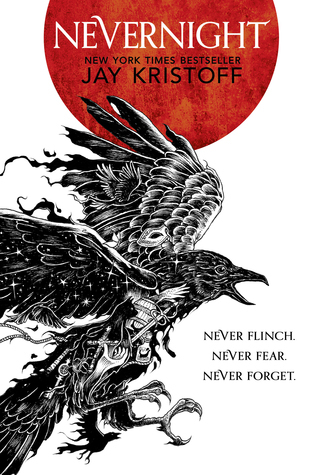 I read “Nevernight” last year and eventually enjoyed it but the first half of the book really gave me a hard time because there were so many long footnotes that always felt like interruptions to me. But the second half was much better and I’m already looking forward to the sequel. 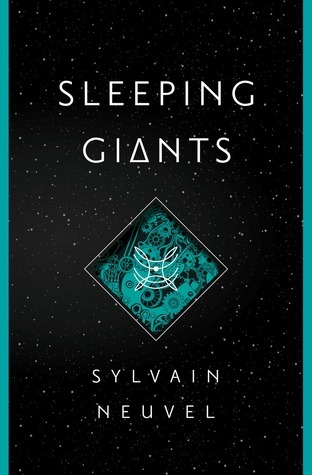 I also read “Sleeping Giants” which was fun. For me it didn’t quite live up to the hype but it was a good sci-fi novel with a really interesting idea. 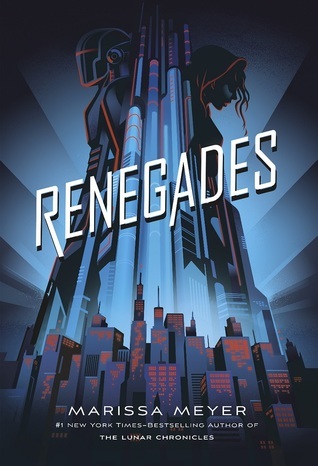 Good to hear that you enjoyed those books, and I do agree that Warcross and Renegades may be slightly overhyped, but I am still looking forward to reading them. But aaaaah, the Obernewtyn Chronices!!! I don’t think I know anyone else who’s read them. I still need to finish the series, too. I’m not sure if the last one (ones?) is even released in the US yet. It’s very confusing because there are a different number of books in Australia and the US. Ahh the Obernewtyn Chronicles yes!! The only people I have known who have read them are people that I have forced into it. It is confusing having all the different versions. Thanks for the heads up about Nevernight, I can see how that would distract from the plot. And I have heard similar things about The Gentleman’s Guide to Vice and Virtue from other people which is why I am looking forward to it so much. Starting with Forest Of A Thousand Lanterns and all the way to Renegade I was just sitting here nodding along to your list! I’ve got all those books on my TBR too and then obviously All The Crooked Saints – it’s Maggie, how could I not have it on my TBR? Great list! It seems like to many of the books coming out these days are amazing! I am glad you hear you are also anticipating them. I’m looking forward to Warcross too! And Six of Crows! I hope you love it!! 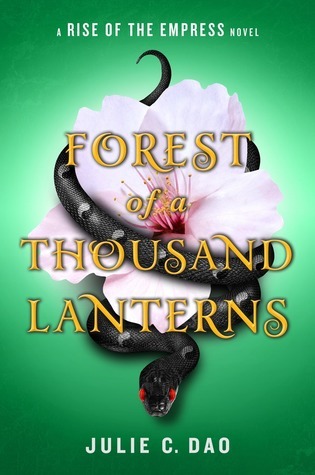 Forest of a Thousand Lanterns made my list too. I’m pretty excited for it. Warcross and Forest of a Thousand Lanterns made my list as well. Love Marie Lu! Looking forward to Meyer’s new one as well. I didn’t realize when I made my list that she had a new one coming out otherwise it would have been on there :D Great list! There are so many new books coming out this year and I completely can’t believe it. Dare Mighty Things looks SO good, and of course I’m looking forward to Renegades. Warcross and Renegades are two I’m interested in. I haven’t read a Marissa Meyer yet… and Obsidio! I forgot about it too, which is funny since I just read Gemina and loved it! Can’t wait for the next one. Yess!! I can’t wait for SO MANY of these books aha, Renegades, Warcross, and Forest of a Thousand Lanterns sound so amazing omg. <3 <3 Great list! Ahh yay glad to hear you are excited too. I haven’t read a lot of Marissa Meyer, but I am rather intrigued by her graphic novel Wires and Nerves. It didn’t get a lot of attention, but it looked really cool. Oh yeah, I am interested in reading that too eventually although I still have a few other books in the same world to get through first.